Bogues Consulting Group has landed dozens of top tier media placements and strategic partnerships for their clients, including CNN, The Huffington Post, SLAM, The Baltimore Sun, Reebok and more . 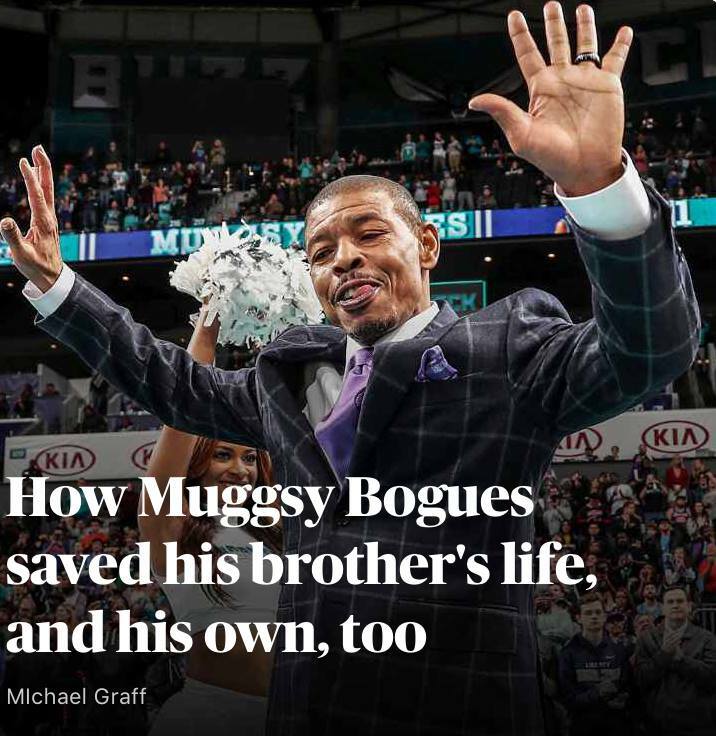 ESPN: HOw Muggsy Bogues saved his brother’s life, and his own too. Muggsy Bogues shares his family story with ESPN’s Michael Graff. Muggsy Bogues joins First Take and talks Michael Jordan and the Charlotte Hornets' decision about Kemba Walker's upcoming free agency, being a short player in the league and undeserving NBA "superstars." The 20th Anniversary Legends Brunch was held in Charlotte on Sunday, Feb. 17. Hornets Legend Muggsy Bogues was honored as the Community Ambassador. Muggsy sat down with Sports Illustrated to talk about growing up in Baltimore and how it made him who he is today. Muggsy sat down with HoopsHype for an interview about his lifelong career and many successes. Through BCG, Client Muggsy Bogues became Ash & Erie’s newest spokesperson/model and was subsequently interviewed in Sports Illustrated. BCG’s client Muggsy Bogues was on Fox46 to talk about the launch of BuzzBuds T-shirts in collaboration with Glory Days Apparel and NBA Legend and former Charlotte Hornet Larry Johnson. He later had a Meet and Greet with fans-check out the recap! Brittney Bogues of Bogues Consulting Group served on a panel discussion at the Charlotte Family Housing Family Empowerment Summit on How to Reinvent Yourself along with Executive Director of the Steve Smith Foundation Gerard Littlejohn, Vice President of Culture & Stewardship at Coca-Cola Reginald Bean, and Advocate Lamont Scott. Brittney Bogues of Bogues Consulting Group and Hannah Herdlinger, founder of Thread Talk teamed up to celebrate National Thread the Needle Day by launching the one day campaign #PledgetoThread to shine light on the issue of domestic violence in Charlotte. They were able to get over 200 signatures on their pledge and raised over $2,000 in donations. Dr. Markesha Marks of the On the Mark podcast sat down with Brittney Bogues of Bogues Consulting Group to discuss overcoming odd with purposeful intentions. Bogues Consulting Group planned and executed KIPP Charlotte's annual winter fall fundraiser with Tennis Legend Andy Roddick. An Evening with Andy Roddick was not only a memorable night for the guests but raised substantial funds for the KIPP Charlotte youth. The Mecklenburg Times awarded Brittney this distinction in early 2019. Brittney Bogues of Bogues Consulting Group was awarded by the Know Tribe-Charlotte as one of the Top 100 Women to Know in Charlotte for her advocacy work and for being one of the co-founders of BCG. Bogues Consulting Group planned and executed the Meet and Greets and Election Party for NC Representative Brandon Lofton of District 104.